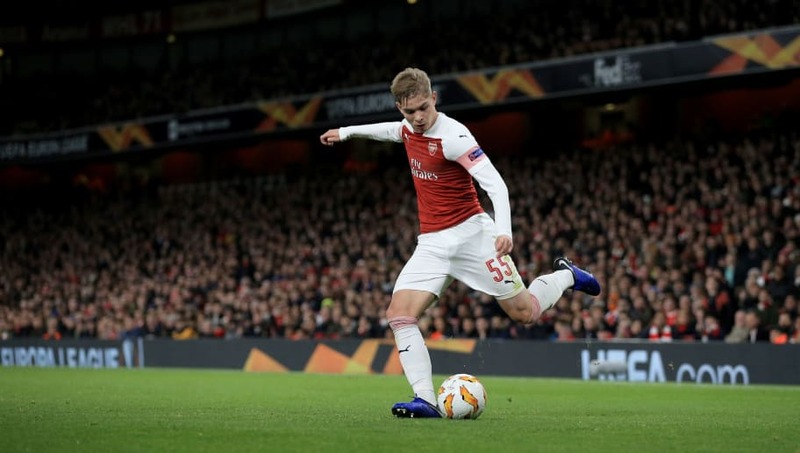 ​RB Leipzig are already considering extending the loan of Arsenal midfielder Emile Smith Rowe beyond the end of the season, despite the 18-year-old not yet featuring for his new side. The England youth international joined the Bundesliga side on loan for the season on deadline day, looking to gain some first-team experience after struggling for game time in London. However, he picked up an injury with Arsenal in December and isn't expected to be fit for action until the end of February. Despite that, however, a couple of reports have already emerged suggesting his stay in Germany could well be extended. The first of which comes from Sport Bild (via ​Sky) who say that the club's stance is to wait and see what sort of impression he's capable in the first team, before deciding whether or not to press Arsenal for a further year. The ​Sun, meanwhile, have added to that, saying the club are already looking to extend the terms regardless - but they do go on to contradict themselves later in the very same piece, so it's maybe best to take that one with a pinch of salt. At any rate, it seems to be on their agenda, and the positive relationship between the sides only seems to add to the likelihood of a prolonged stay in Germany. That's the line coming from manager Ralf Rangnick, anyway, who says a deal could be discussed as early as March. “We have such a good relationship with ​Arsenal that we can imagine talking to them about another loan in March or April," he said. Whatever happens in the long run, it will be interesting to see how the 18-year-old gets on alongside the likes of Reiss Nelson and Jadon Sancho when he finally gets started in the ​Bundesliga.